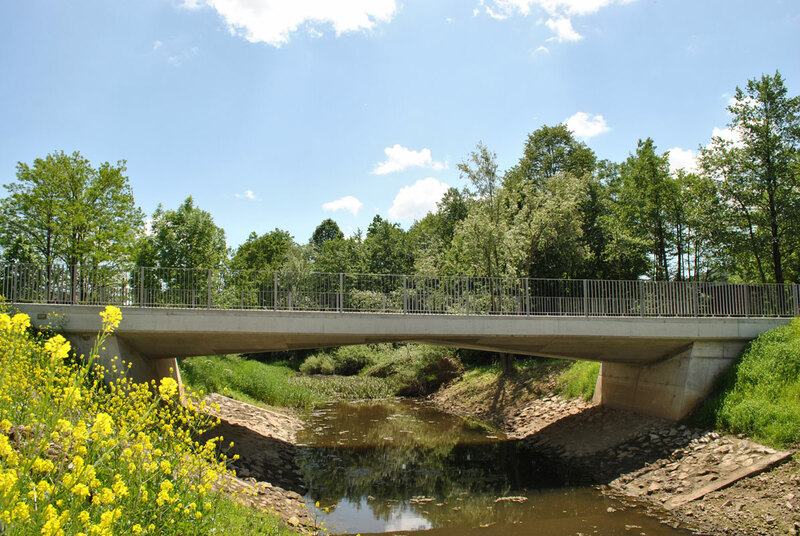 The existing bridge over the Rinža provided local access to agricultural lands, tourist sites and forests. 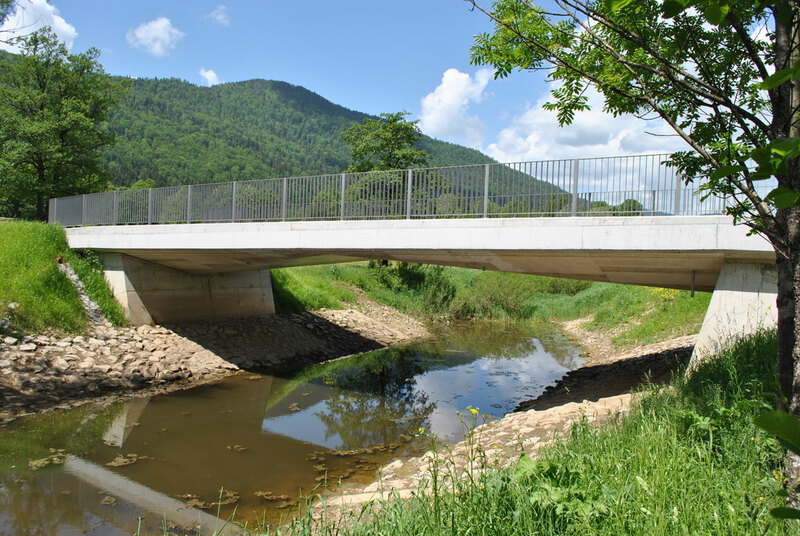 The bridge had three piers in the Rinža river bed and was a bottleneck in the drainage of flood water from the polje. 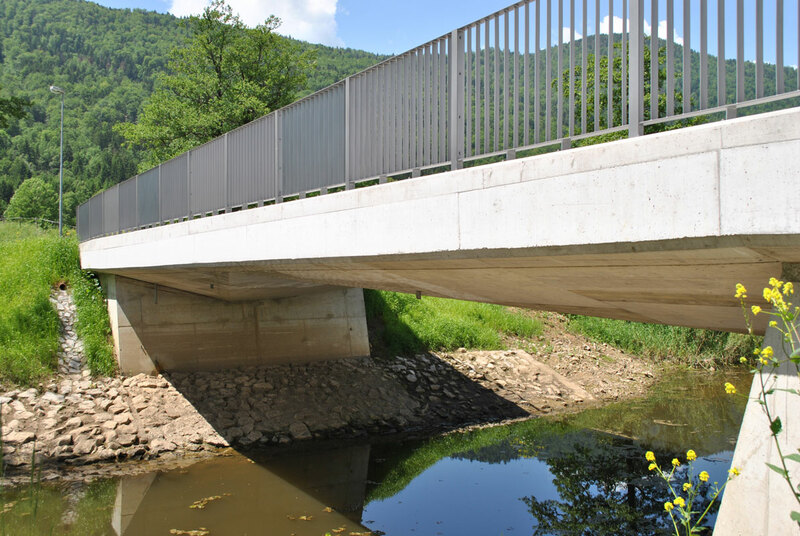 It was our goal to design an open construction with a single span in order to prevent the surrounding area from floods; the old bridge had to be demolished. 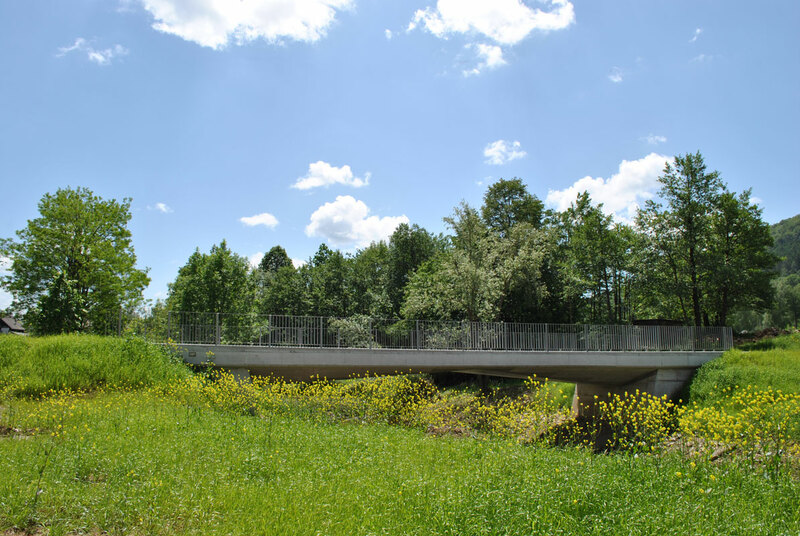 The geometrical design of the new bridge allowed development of a two-lane public path. The new bridge is arranged in a straight line and has a constant longitudinal inclination of 2.0 % and a constant transversal inclination of 2.5 %. Statically, the bridge is designed as a frame monolithic construction (integral bridge) which bridges the river with a single intrados. The total length of the bridge is 21.67 m, the actual span is 18.2 m. The width of the girder is 7.0 m at the upper portion, while the girder linearly changes from a width of 1.70 m to 7.0 m at the bottom portion. The order included preparation of a preliminary design, a building permit design and an execution design. The municipality of Kočevje obtained financial resources partly from the EU cohesion funds and partly from the municipal budget.